Every year, World Health Day is celebrated on 7th April with a distinct theme. While last year's focus was on diabetes, this year 2019, the spotlight is on one of the most underrated mental disorders - depression. Most people don't talk about it, while others simply don't treat it as a severe, debilitating ailment. A quick look at the statistics is enough to understand the appalling severity of the rising number of depression cases. Depression, when unchecked can assume a menacing character with many succumbing to it and ending their lives. Depression can affect a person's overall well-being. People suffering from depression can experience difficulty in carrying out their day to day activities. They may feel a sudden withdrawal from activities that were once enjoyable to them. Social aloofness is also one of the characteristics. The ailment can also significantly affect the family of the person suffering. Unexplained mood swings, irritability and other symptoms can often take a toll on the family members. 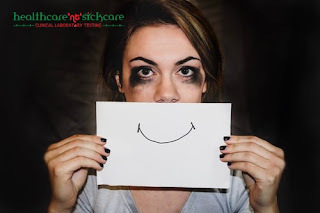 Patients of depression must, therefore, be provided with behavioural and psychiatric therapies with the help of certified therapists. "At worst, depression can lead to suicide, now the second leading cause of death among 15-29-year olds," WHO. Depression in people rose by 18% between 2005 and 2015. It is also the largest cause of disability in the world with most people falling prey to it from low to middle-income countries. Suicide rate are also high in low to middle-income countries in young people ageing 20-25. WHO's study depicts more suicide cases in men as compared to women all across the globe. This World Health Day is not only dedicated to understanding depression better but embracing the wide spectrum of mental disorders as well. The day calls for developing empathy towards every sad face and a will to pierce through the veils of loneliness that might push somebody into depression. 1. Close to 20% of the world's children and adolescents have mental disorders or problems. 2. About half of the mental disorders begin before the age of 14. 3. Mental and substance use disorders are the leading cause of disability across the world. 4. Close to 8 lakh people commit suicide every year. 5. Mental disorders increase the risk of other diseases like HIV, cardiovascular disease, diabetes, and vice-versa. A little bit of muscle soreness can be taken as a positive thing; after all, to reach this new level of strength you have worked hard and sweat it out day after day. But in situations when the muscle soreness grows worse, it is absolutely a matter of worry, causing an unlimited amount of discomfort in the gluteus maximus and other parts of the body. When even the simple act of picking up your bag feels like an assignment after exercising, you are possibly suffering with DOMS-Delayed Onset Muscle Tenderness. This is usually created at the time of the workout, since exercise generates slight micro-tears in your muscles, and when those fibres restore it is the time you begin to gain strength. Taking meticulous care during after-work out recovery is of importance. This is why most people emphasise on taking long ice baths, exorbitant massages and medications to relieve them from the pain and reach a stage of recovery. Nevertheless, it is imperative to note that the most effective way to relieve muscle tension is actually through the kind of food you consume. There are a couple of nourishing foods and food groups that will help you in fighting soreness and overdue onset muscle when you integrate them into your post-workout diet. It is advisable to start eating the below mentioned daily foods, which will help you in combating muscle pain. Protein is an essential building block of muscles, thus incorporating a correct protein source like eggs, afterward or during a concentrated long hour workout may assist in reducing the peril of DOMS. 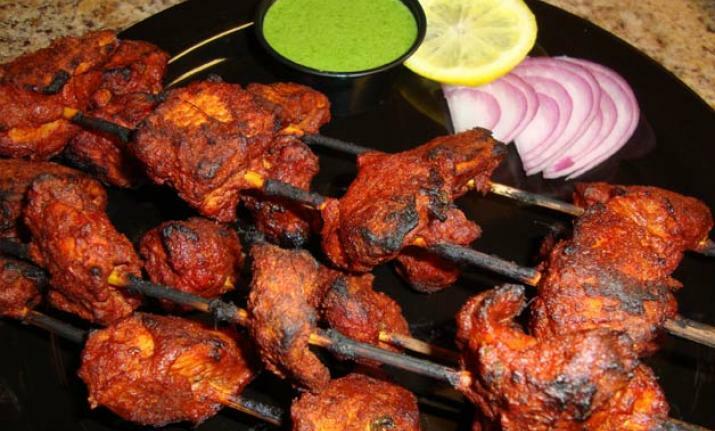 This protein-rich food can be prepared in several ways and it delivers a substantial dose of nutrients in given portion. Moreover, the protein quality delivered from an egg is solely suited to fighting inflammation of muscles and endorses healthy muscle development. An egg is a power-house of nutrients and it contains nearly 6 grams of protein which comes with all important amino acids. 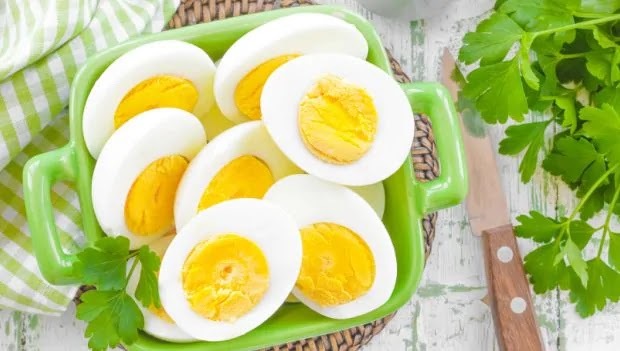 They also have vital vitamins and minerals, particularly vitamins A, E and K. Eggs are also a notable source of leucine, that is connected with muscle recovery. Salmon comes into the group of healthy fat and is also rich in protein. Both of these nutrients play an essential role in rebuilding and fixing muscles. Salmon helps deliver high levels of healthy omega-3 fatty acids that are acknowledged for fighting muscle tenderness, enhancing the flow of blood to muscles during a fitness exercise and reducing swelling. This golden spice plays a crucial role in healing numerous injuries and wounds. Any curcumin supplement is very efficient in reducing the uneasiness associated with overdue onset muscle pain. Turmeric also reduces the intensity of injury and improves recovery of muscle performance. Cottage cheese carries two different kinds of protein: casein and whey. While whey protein helps in replenishing muscles speedily after training, casein is a much slow-acting protein that makes cottage cheese a perfect snack before exercising, because it lets your muscles to recover even as you sleep. Biting into a cold, juicy piece of watermelon after an intense workout session is the most satiating feeling an individual can get. Along with being satisfying, watermelon's energetic amino acids, l-citrulline, can calm those painful, tender muscles. The natural sugars present in the fruit will also help in supplying protein content into the muscles and refill their low glycogen stores, whereas the rich content of water is helpful to prevention dehydration and muscle-cramping. So don't wait anymore. Stock your refrigerators and kitchen with the above mentioned healthy ingredients, and start feeling the change for yourself. 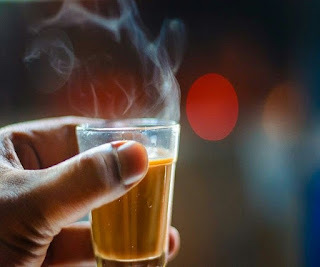 There must be some reason why each time you are down with cold, your mother would suggest you drink some soothing kadha made of mulethi and other healing spices. Chewing on mulethi sticks is an age-old remedy to soothe sore throat and cold. But, there is a lot more to liquorice than just that. Licorice is famous for its antioxidant properties, which can do wonders for your heart health; it is known to keep your blood pressure in check. It is also a good bet to support healthy liver and soothe an upset tummy. Diabetics too can consider making it a part of their diet. The spice contains antidiabetic properties - there are some studies that have also claimed that small amounts of liquorice could help prevent sugar cravings. 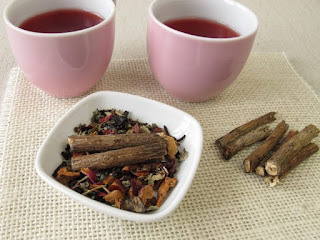 One of the most trusted ways to make most of the licorice is to brew them in a hot tea. Here are some purported benefits of the same. Liquorice is packed with antibacterial and antiviral compounds that help keep seasonal infections at bay. Licorice can help heal chest congestion, thin mucous and help you breathe normally. It is also rich in anti-inflammatory properties that help heal a scratchy throat and all the discomfort that comes with it. Make sure you have the tea warm. "Licorice tea is also good for maintaining dental health; try gargling with cool tea," notes the boom 'Healing Foods', by DK Publishing House. The antibacterial properties of liquorice root prevent formation of dental plaque. Mulethi can do wonders for your immunity naturally. The enzymes present in the root, stimulates production of lymphocytes and macrophages that protect the body from microbes, pollutants, allergens and boost your immunity naturally. Diabetics need to be extra careful of what they include in their diet; liquorice root may help prevent blood sugar spikes. According to American Diabetes Association, the root of licorice is packed with amorfrutins, which have many anti-inflammatory properties that help keep diabetes-related conditions at bay. Struggling with indigestion? Bring mulethi to your rescue. Drinking liquorice tea could help soothe your upset tummy and even cure nausea. Liquorice root has active compounds glycyrrhizin and carbenoxolone that are renowned to relieve constipation, stomach discomfort, heartburn and acidity. You can steep a handful of mulethi sticks in boiling hot water to make your tea more powerful; moreover, you can also include other herbs like ginger and black pepper.